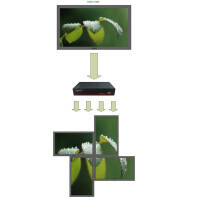 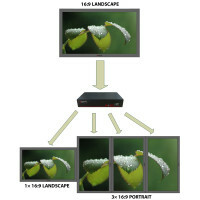 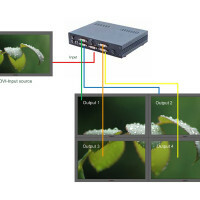 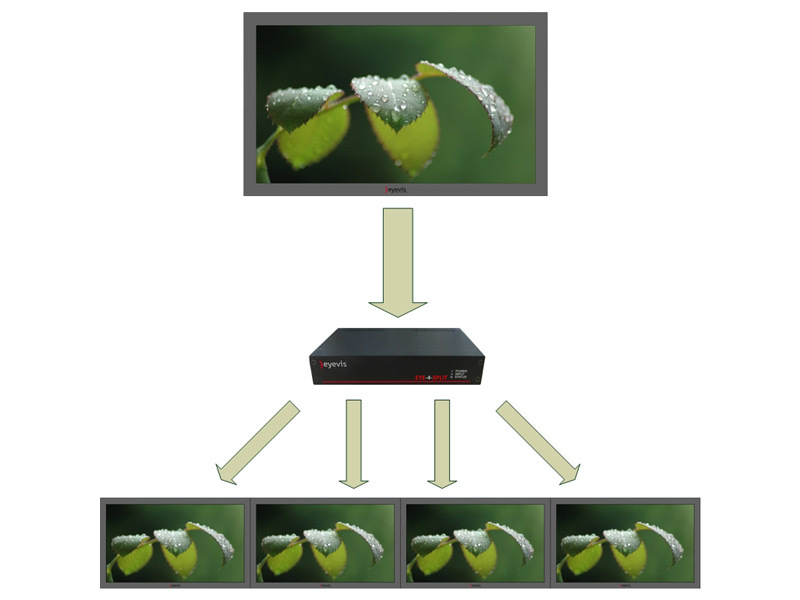 At high resolution, DVI signals cannot normally be guaranteed beyond 5m cables due to the nature of the signal losses inherent in the DVI cables and connectors. 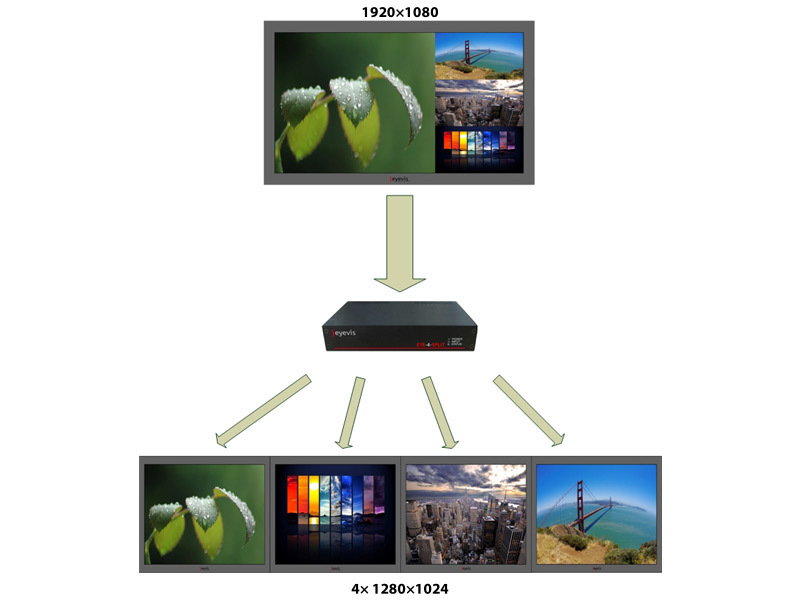 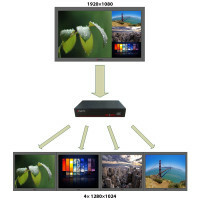 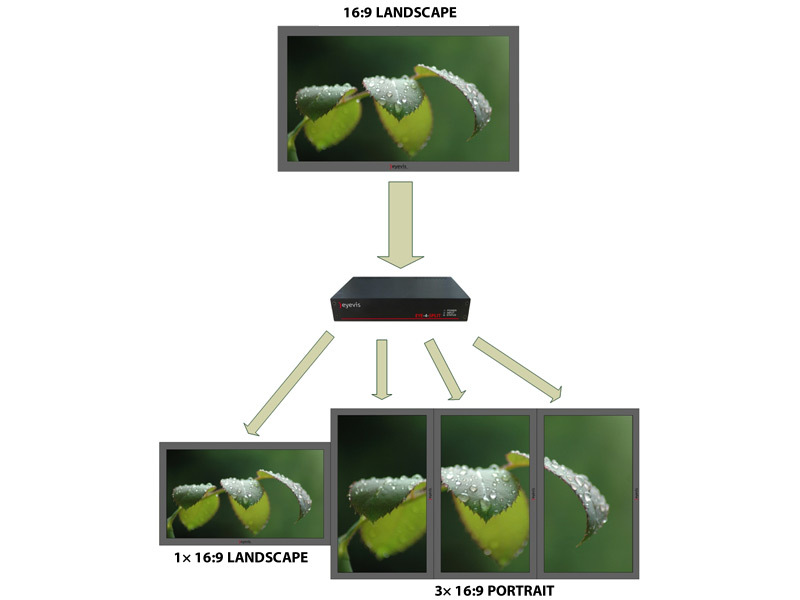 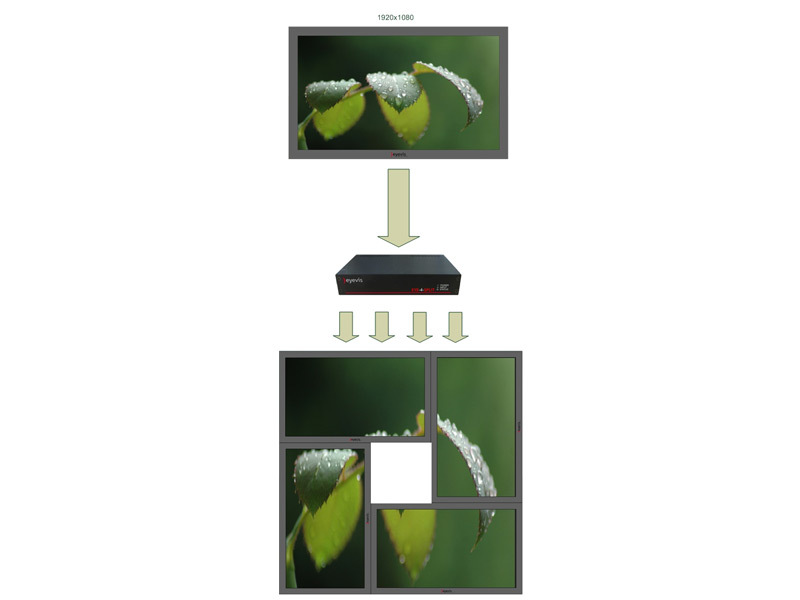 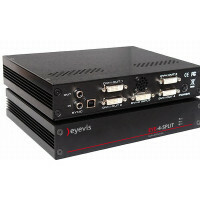 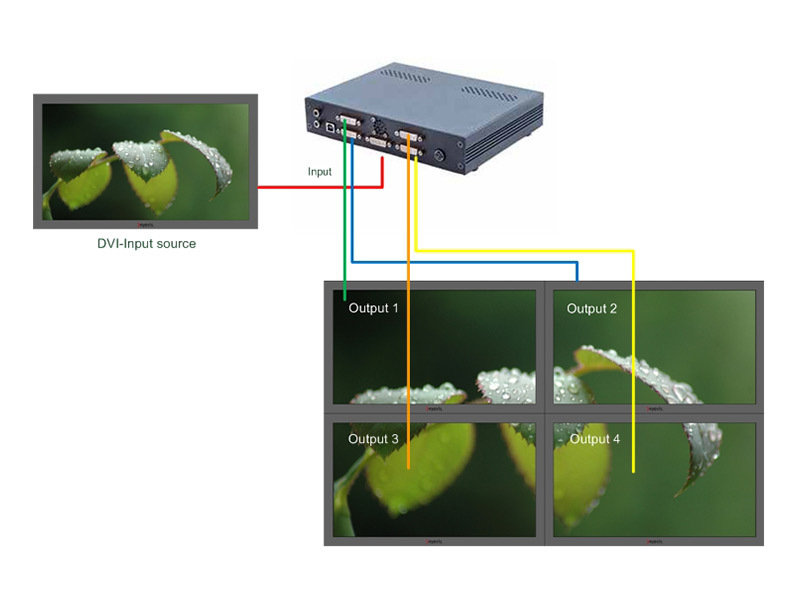 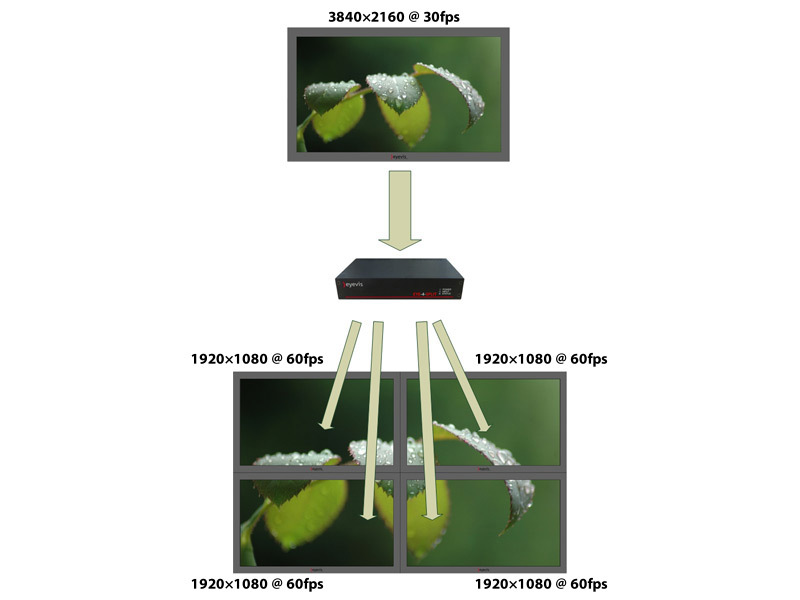 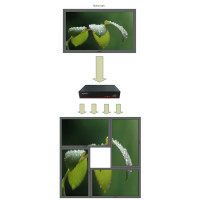 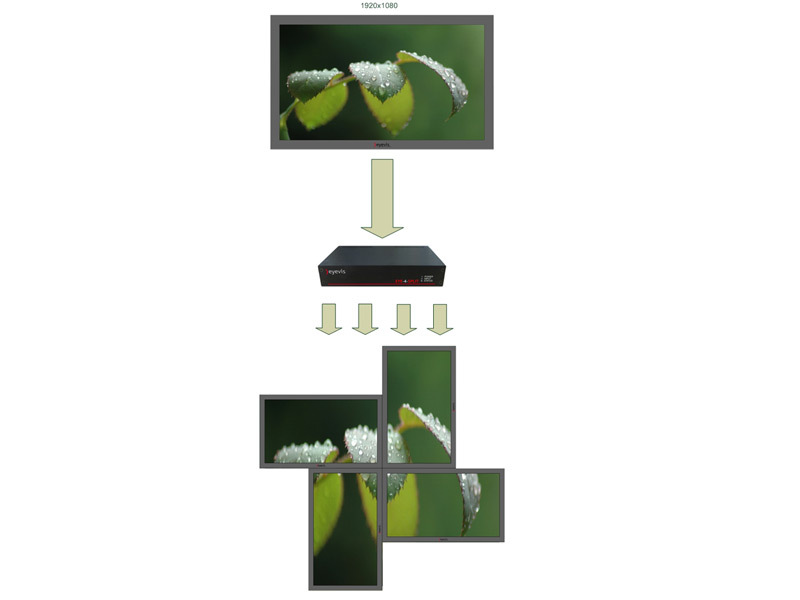 eyevis have added active equalization hardware on the EYE-4-SPLIT which is able to compensate for these losses and support cable lengths of up to 20m even at full dual-link resolutions (330Mhz pixel clocks). 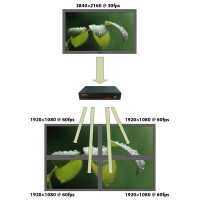 Lower resolutions will allow even longer cable lengths. 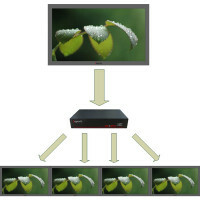 Ideal for use with edge blending projectors – supports image overlapping. 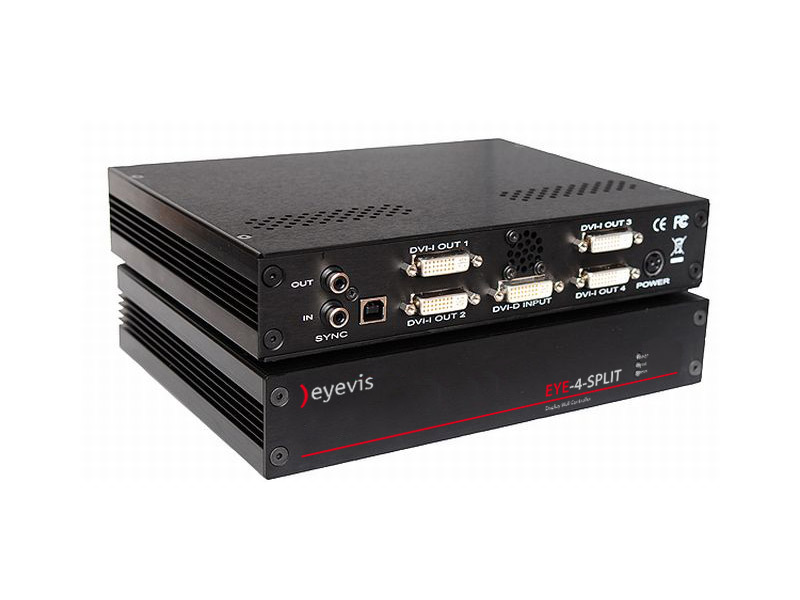 Active equalization hardware for longer cable support up to 20m for full Dual Link, for more flexible positioning.